Although it is almost certain that future generations (and the more expensive versions!) 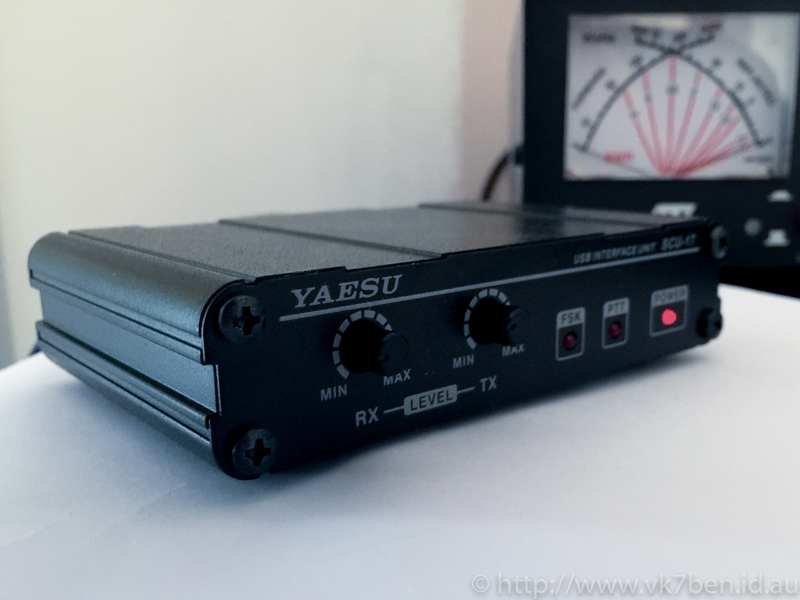 of radios will have rig control and digital mode keying built in with just a USB cable to go between radio and computer (such as Yaesu’s FT-991), for previous generations of radios, such as my FT-DX1200, the Yaesu SCU-17 Interface is required to act as that bridge between radio and computer. There is nothing particularly special about the interface – you could make one yourself at home if you wanted. It consists of 2 USB to Serial ports, a sound card interface and a little bit of wizardry to wire it all together. As for me I’d rather just spend the money to save myself the hours of frustration of putting one of these together (and troubleshooting issues) and end up with a professionally made, compact unit. However what I wanted to address was the distinct vagueness of documentation around that covers how they operate. The last time I was active on air was a brief period in 2011. During this time, I just wasn’t that interested in radio and it took a back seat to other projects and interests. Fast forward to July 2015. My lovely partner has gone overseas for a few weeks and I decided to spend a couple of evenings at my local radio club which holds amateur TV nights most Wednesday evenings. This wasn’t new to me. What was new however was a couple of work colleagues deciding to come up with me and the discovery that the stuff I couldn’t do before I now could, especially having bought a contemporary new transceiver. VK3YT’s endeavours with High Altitude Balloons I find just amazing, and can easily see this becoming science projects in high schools or colleges, promoting amateur radio, electronics and further research. 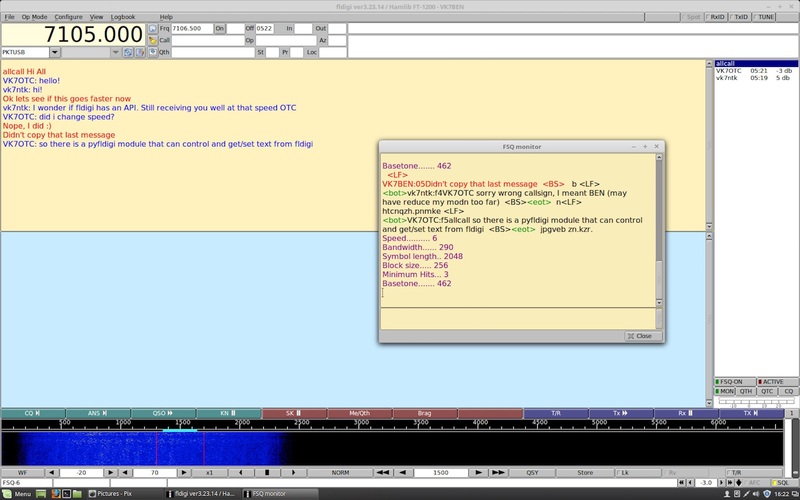 Traditional Modes such as BPSK, RTTY and STTV, and more exotic modes like THROB, Feld Hell and Contestia. Previously I did not have the hardware available to do this at home. Now I do. Enough said there really. Packet Radio. AX.25. One of the many projects I am currently running with. I have acquired an old TNC, and it’s just a matter of interfacing it with the radio. Speaking of interfacing, I need to make a suitable new interface for my Icom IC-706MkIIG that includes PTT and audio in. Amateur Satellite communications. It doesn’t seem as hard as it sounds remarkably, and I think that would be great fun. FreeDV – The new digital voice mode on the block. it’s achieving some amazing things like FM quality audio with weak signals, and is definitely a QSO mode I want to try. This, along with station maintenance and improvements is definitely going to keep me busy in the foreseeable future. I’ll touch more on the station maintenance in a later post.